Rumors have been coming out for months regarding Microsoft’s replacement for current CEO Steve Ballmer, who will be leaving the company later this year. Numerous lists have been leaked to the public to show that the technology company has been able to bring down the list of candidates to just a handful of names and a new report from Bloomberg News says that Satya Nadella will almost definitely be the next CEO of Microsoft. Various front runners have popped up since the first set of names came out last year and while some, like Ford CEO Alan Mulally, seem like they would be successful in the position, Microsoft may be better off keeping the search within the company. Nadella has been with Microsoft for 22 years and in 2013, he was appointed head of Microsoft’s Cloud and Enterprise group. Without a background full of experience as a CEO, Nadella may have some trouble adjusting to such a large position but his extensive knowledge of Microsoft’s enterprise technologies will be useful. When it comes to actually knowing the technology, Nadella is definitely the man for the job. Not only has he worked at Microsoft for 22 years but he also holds a Bachelor’s and two Master’s degrees. Based upon reports from people that have come to know Nadella over the years, he is not the type of person to take over a company and drastically change anything about it. This would not necessarily be the case if someone else were to take over when Ballmer leaves, which may end up being a downside to having Nadella as CEO. As Microsoft has struggled throughout the past couple of years, thanks to failures in the tablet industry and slowing PC sales, whomever takes over Microsoft will need to bring the company in a new direction. Summary: A new report, citing unnamed sources, states that Microsoft has decided to replace current CEO Steve Ballmer with Satya Nadella. 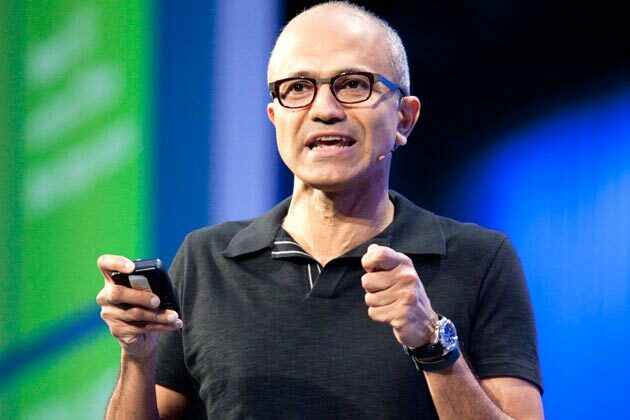 Nadella is currently the head of Microsoft’s Cloud and Enterprise sector.